I've decided that I have waaaay too much yarn. I'll wait for you to pick your jaws off the floor. But seriously, I've made the decision to get rid of the Red Heart and Caron Simply Soft from my stash. The only skeins of acrylic I've kept are the skeins of Red Heart's TLC (I think that's what it is) that I won from a contest on Saunielle's site because I have plans for that. 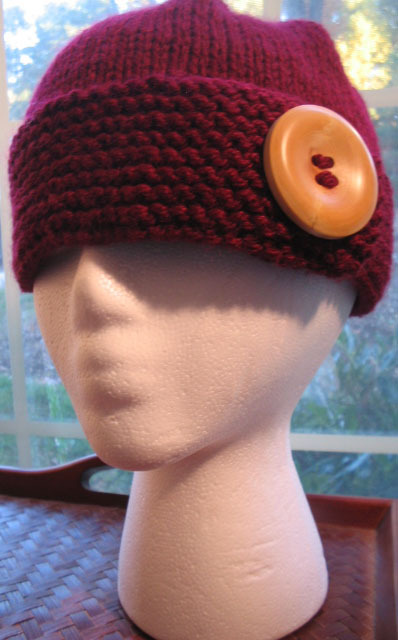 Now, most of you yarn snobs will be thinking, "Good. You shouldn't have that crap in your stash in the first place." I must admit that I am also a tad bit snobby when it comes to yarn. However, I do believe that the acrylic has its place. Especially when making afghans. I think it's crazy to spend tons of money on high end yarn to make an afghan. This thought is keeping me from making Lizard Ridge from Knitty.com. Lizard Ridge is one beautiful afghan, but let's evaluate the cost. Each ball of Noro is about $9. You need One Gazillion Balls to make it. $9 x One Gazillion Balls = 9 Gazillion Dollars. And I don't have 9 Gazillion Dollars just lying around. 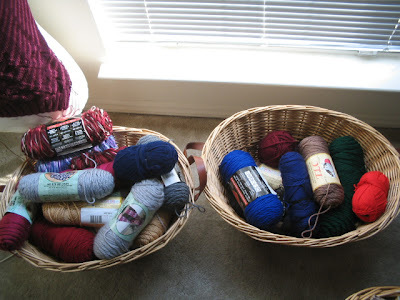 After sorting my yarn into baskets by type, I ended up with FOUR baskets of acrylics. 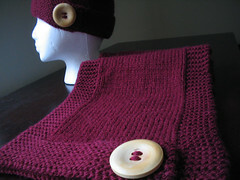 A lot of the acrylic was from my newbie knitting days when I didn't know that there was such a thing as high end yarn. Two baskets of it went back to craft stores for store credit. The two you see above are going to a woman I found via a site called FreeCycle who makes afghans for charity. You have no idea how good it feels to get rid of it.